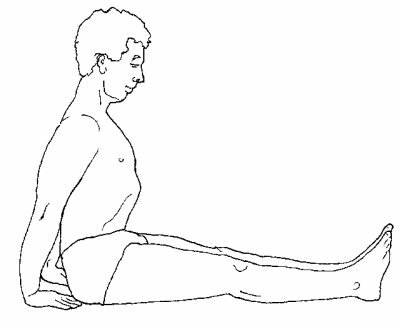 Hence Pratikriyā such as Apānāsana to restore the Apāna. 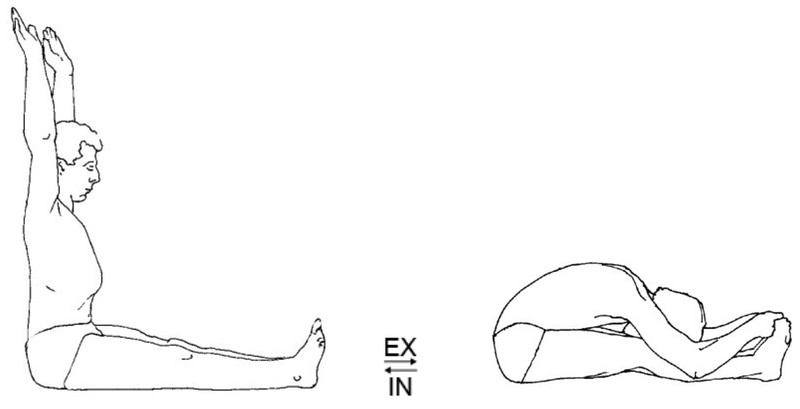 Forward Bends are back stretching Āsana in terms of Bhāvana. 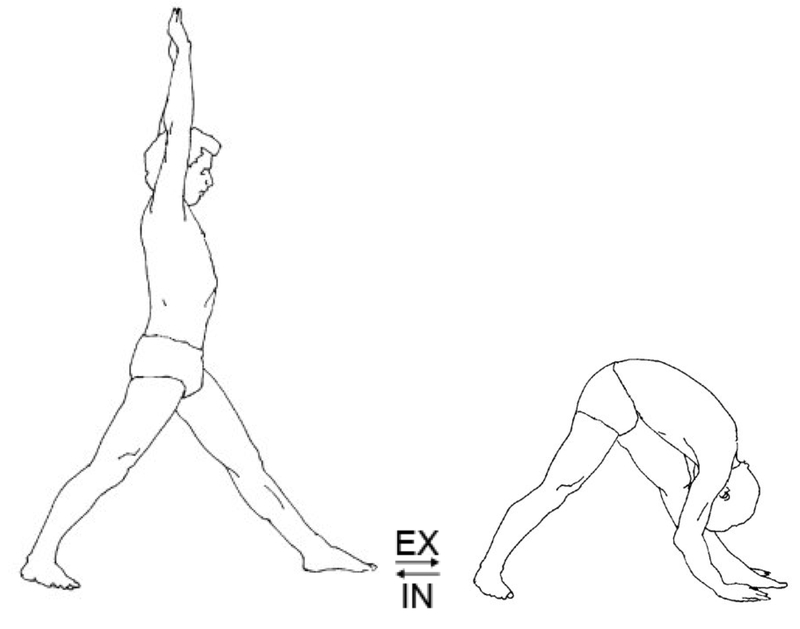 as well as transferring stress to the sacrum, hips and hamstrings. in terms of Bhāvana, rather than floor to ceiling. the big toes stretching backwards. The intelligent leg is the back leg. 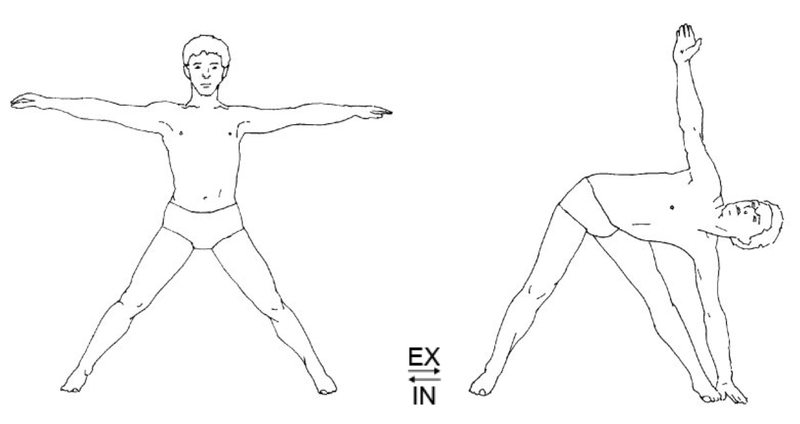 Actively contract the abdomen when exhaling to emphasise Apāna Sthāna. 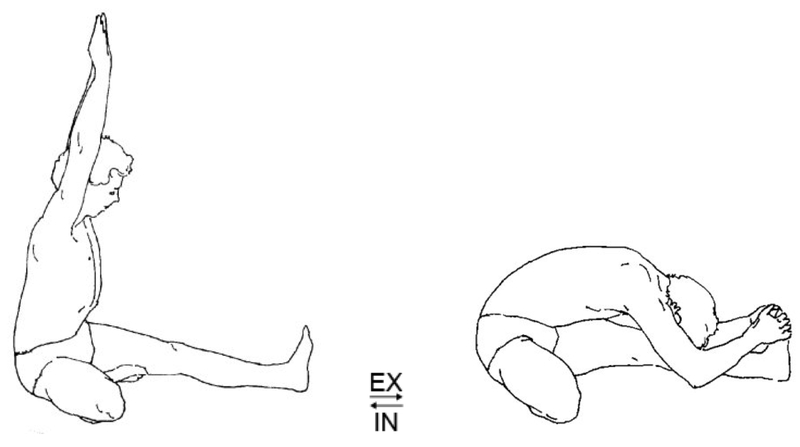 Actively constrict the abdomen when inhaling to emphasise Prāṇa Sthāna. Making the Breath longer than the Stillness. the Recaka or Exhale is started and especially before it is stopped. the Pūraka or inhale is started and especially before it is stopped. at the beginning and especially when at the end of a movement. also means making the breath longer than the Stillness. All these stages of descent are on one long exhalation. 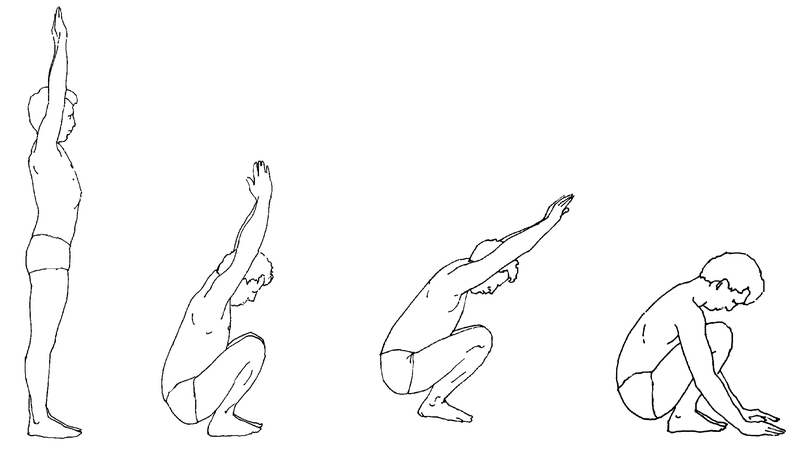 – Lower the backside to the heels whilst keeping the back upright and the arms raised. 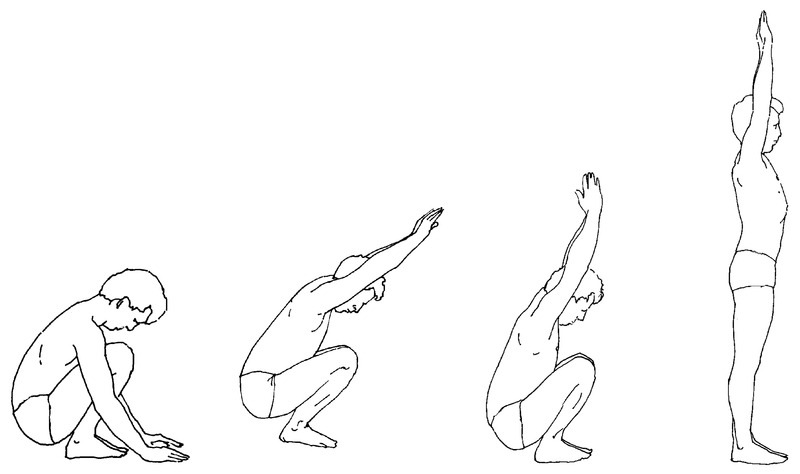 – Then stretch the back rounding it towards thighs whilst keeping the arms raised. – Finally lower the arms to the ground. All these stages of ascent are on one long inhalation. – Raise the arms as far as we can keeping hips on the heels. 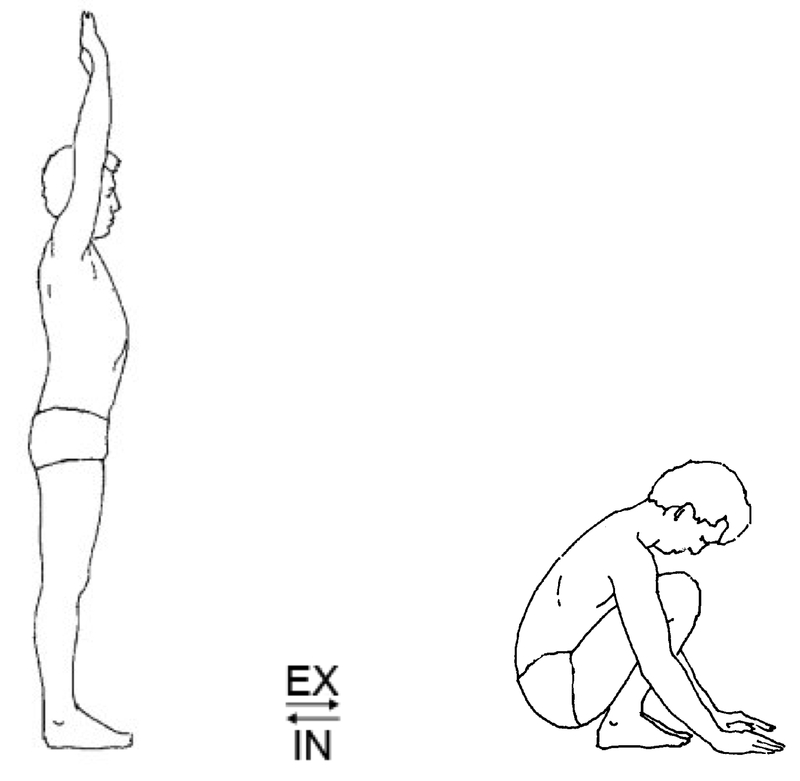 – Then straighten the back into an upright position. – Finally lifting the backside off the heels and coming up. and finish the breath after reaching your arrival point. In other words keeping the breath longer than the movement at all times. 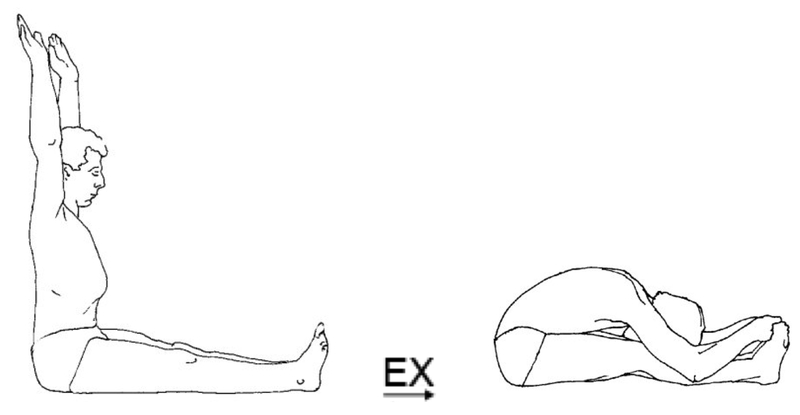 When moving into Paścimatāna Āsana such as Uttānāsana. Better to pull back from the abdomen. Rather than pushing forward from the lower back. 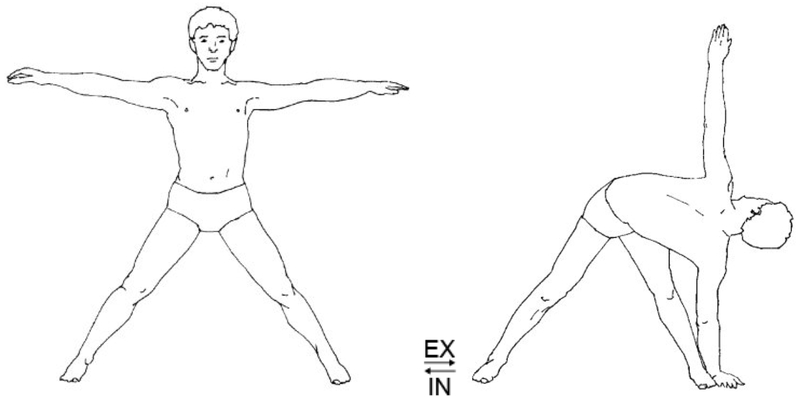 Jumping should be soundless and always on the Bāhya Kumbhaka or pause after the exhale. rather than the upper leg hauling up the lower leg.